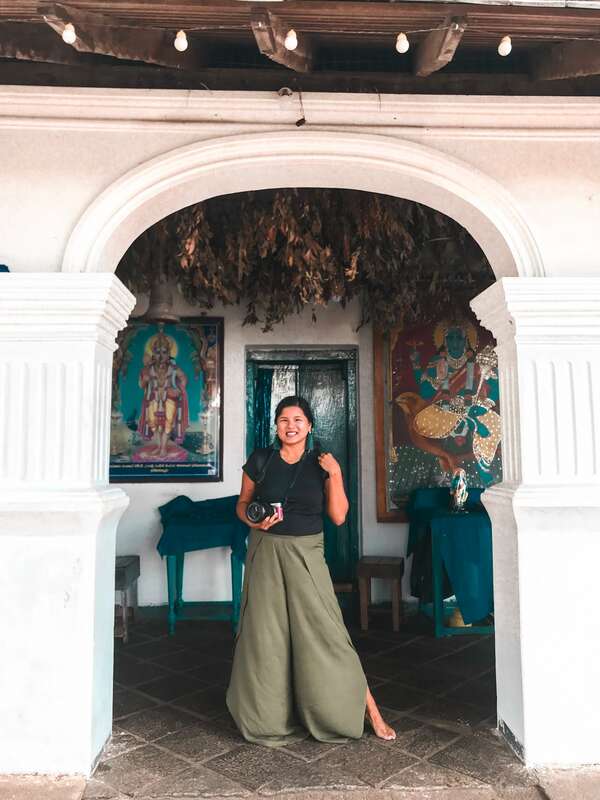 Sri Lanka, a cradle of civilization, has at least three designated UNESCO World Heritage sites in one region, thus making my long arduous flights and layovers well worth it. 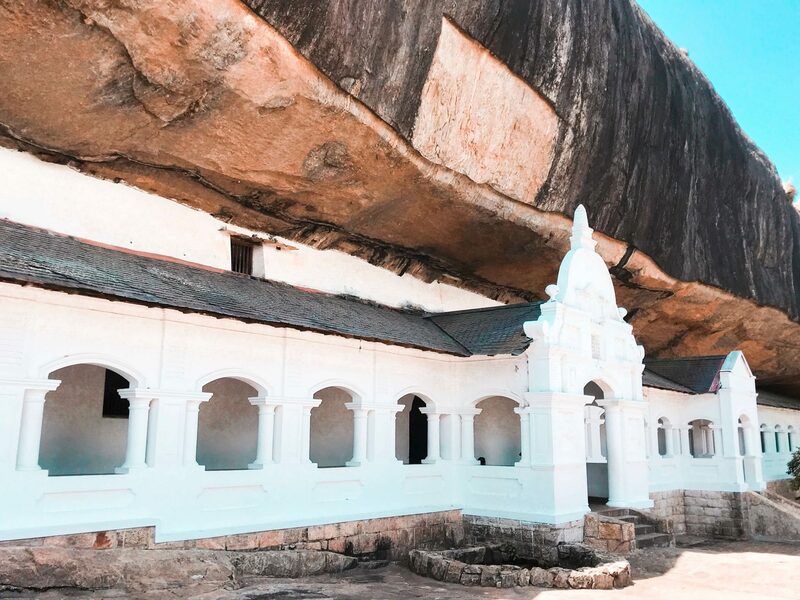 Most of the designated UNESCO World Heritage sites in Sri Lanka are located at the center of the country. 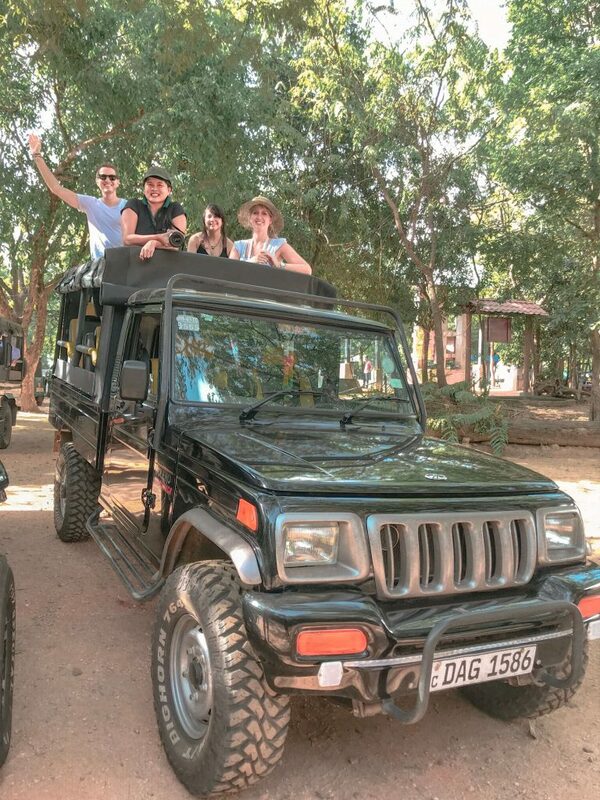 Dambulla town, therefore, seemed to be the most logical jump-off point to explore its attractions. During our tour, we stayed at the Jetwing Lake Hotel. 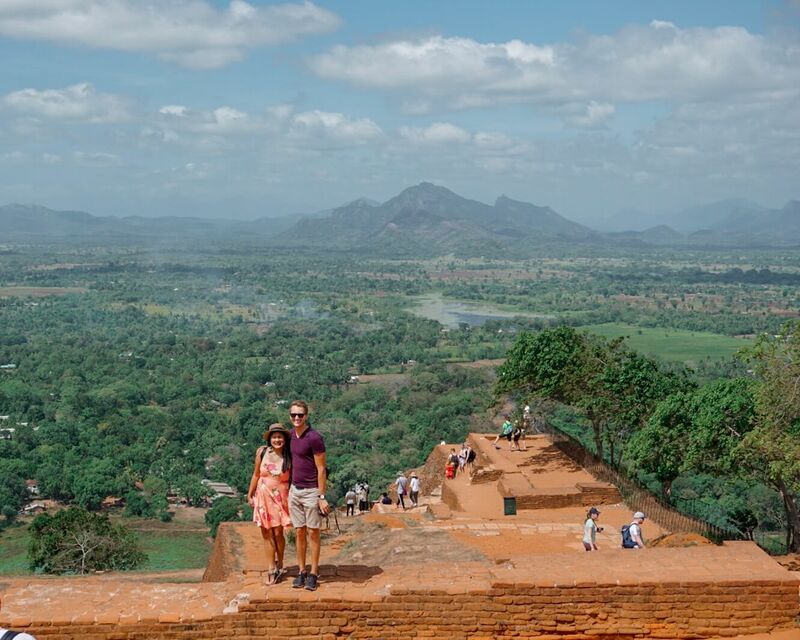 From there, it was easy to go around Dambulla as well as other nearby ancient cities. 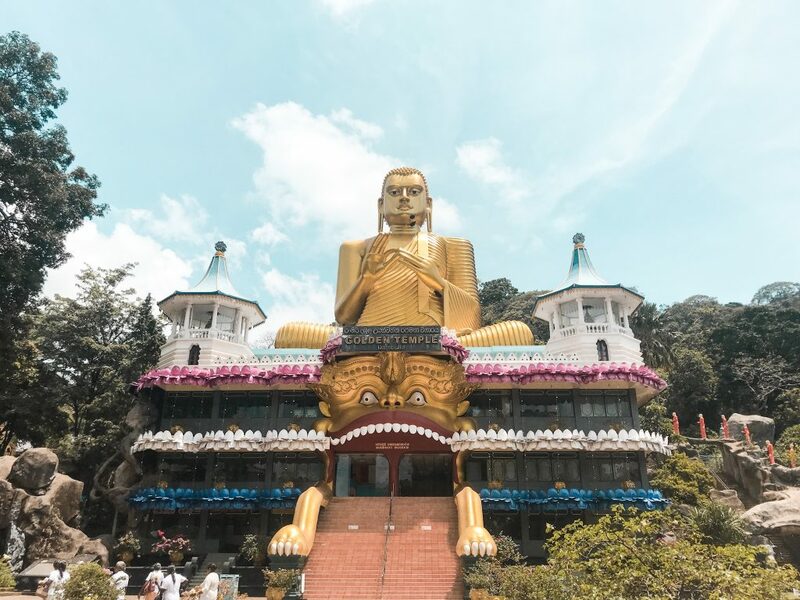 One of the places to visit in Dambulla is the Golden Temple. This is sometimes referred to as Golden Buddha and Buddhist Museum. The Golden Buddha poses with Dharmachakra Mudra hand gesture and is about 30 meters high. A table in front of the enormous statue is for offerings of Buddhist devotees, like flowers and incense sticks. The attraction is fairly new since it was only completed in 2001. 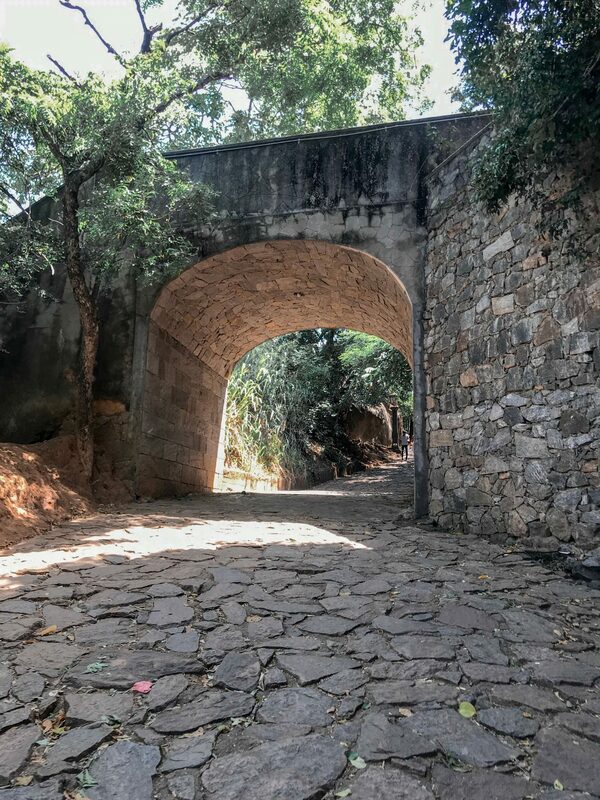 It can easily be seen from the main road of Dambulla and can easily be reached as well, by bus or auto rickshaw. Below it is a three (3) story building that houses a Buddhist Museum and the ticket counter to the sites in the Dambulla Temple complex. The Golden Buddha and Buddhist Museum is open everyday from 7am until 7pm. The ticket counter observes a lunch break, and is closed by 5pm. Entrance fee for the whole complex is at least Rs 1,500 for foreign nationals. We were welcomed by Monkeys near the path going up to Dambulla cave, that was quite cute. We were dropped by the car in an area wherein we had two choices: Take the stairs or the ramp. I don’t do well with stairs so I chose the ramp. They both lead to the same destination but I feel like the ramp was shadier, more scenic and easier. Although, it is uneven so if you aren’t used to that you might as well take the stairs. 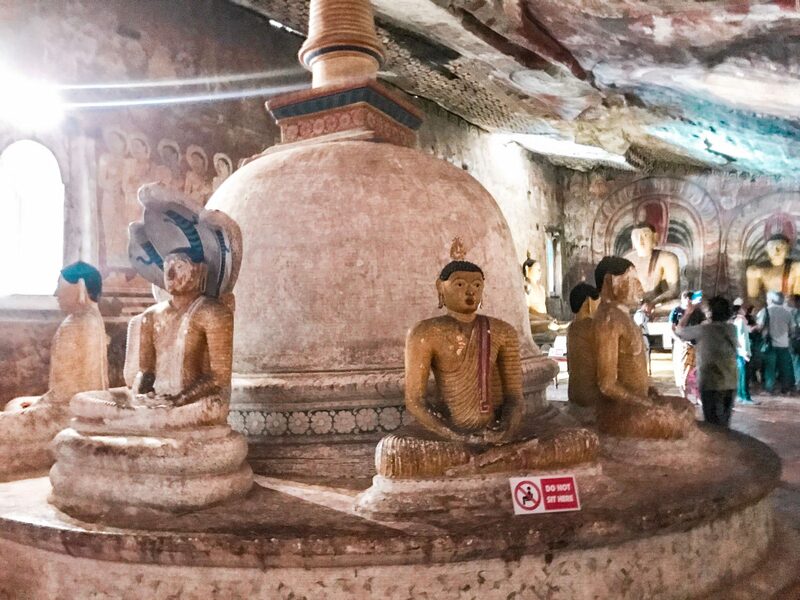 The Dambulla Cave Temple comprises of 5 main sanctuaries accessible to the public. It is home to Buddhist murals and more than 150 statues of different poses and sizes dedicated to Buddha. Aside from these, there are also life-size statues dedicated to other gods and goddesses, and to Sri Lankan kings. 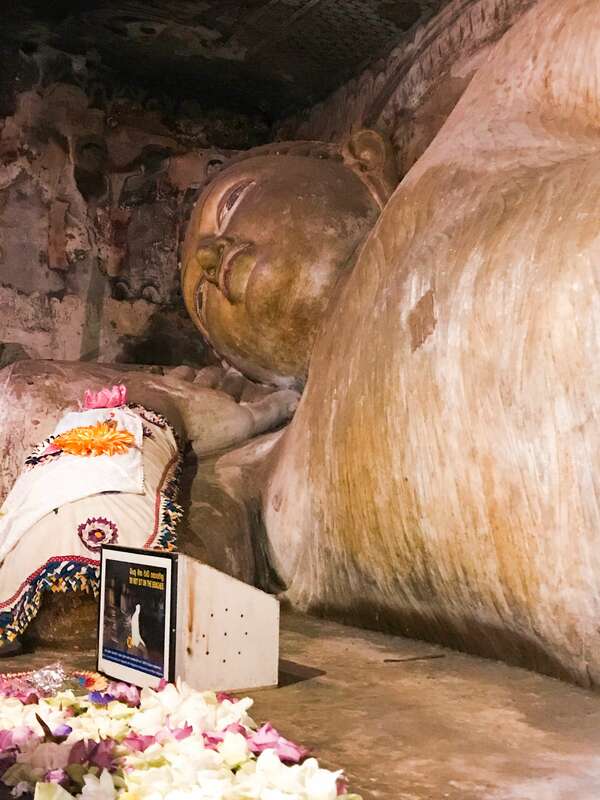 The Dambulla Cave Temple Entrance Fee costs at least Rs 1,500 (10 USD) per foreign visitor. They are open daily from 7 AM until 7 PM. Note though that the ticket counter may have a lunch break and is closed by 5 PM. *Make sure your clothes cover your shoulders and knees when you visit this place. This is especially for women. 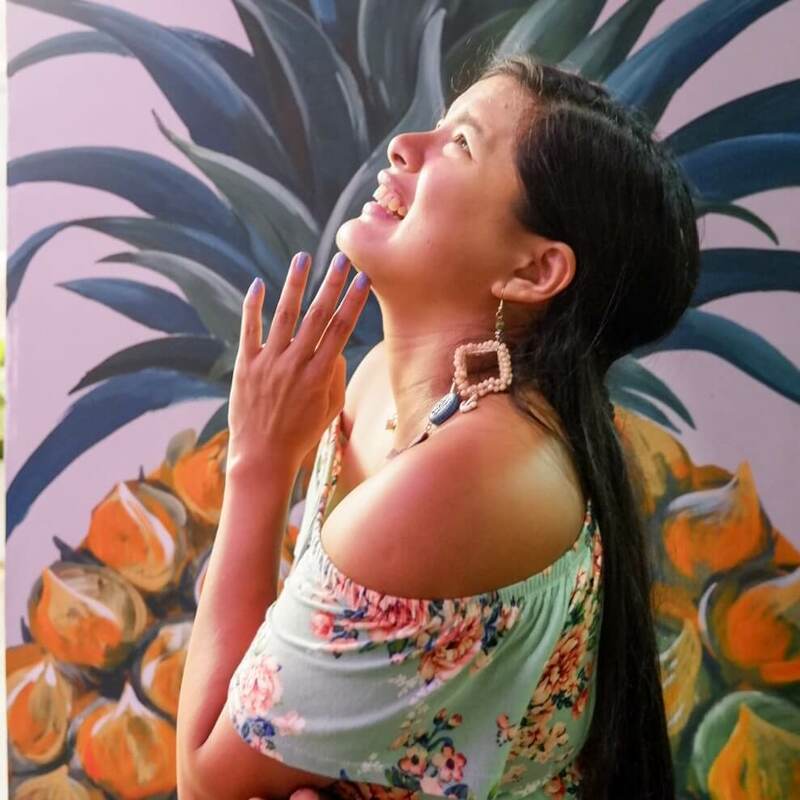 You may bring with you a sarong or shawl to cover your shoulders. Men wearing shorts are strictly prohibited to enter too. *As in other Buddhist sacred grounds, footwear needs to be taken off.You can give your shoes to the man guarding the shoe area. The fee is Rs. 25 per pair of shoes. 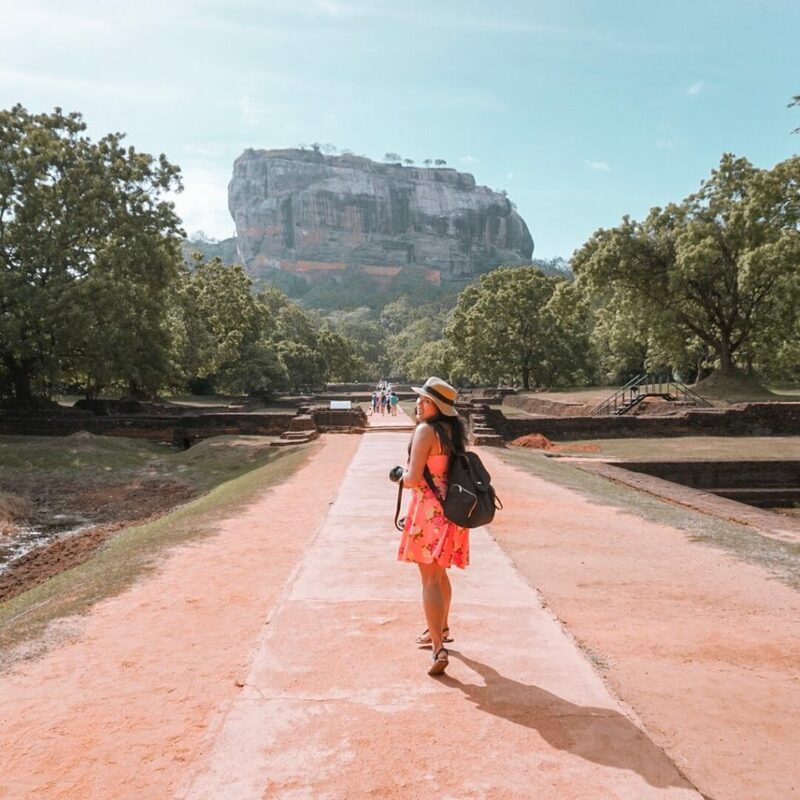 The Sigiriya Rock can be seen from the peak of the Dambulla Cave Temple, but it is difficult to find a bus that will take you there.The faster and more convenient option is to hire a tuktuk. Fare rate for this can range from Rs. 1,500 to Rs. 2,000. The route through the main road only takes less than half an hour. The longer route takes you through paddy fields and village farms, and takes 45 minutes, more or less. This designated UNESCO World Heritage site requires an easy but steep hike. 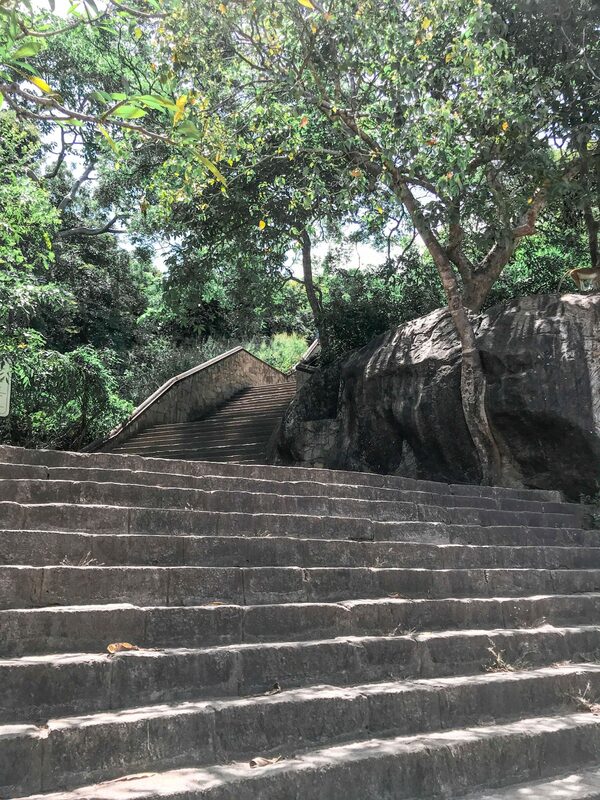 Hike to the top of the Sigiriya Rock is through a garden with pools, stone steps, and steel stairs. It will take about an hour but it will be a gorgeous view from above. of the rural landscape and the remnants of what was once a palace. This ancient palace is credited to a king named Kassapa (Sometimes spelled as Kasyapa). According to legend, he murdered his father who was the king, and enthroned himself. He made the Sigiriya Rock his new palace while anticipating the revenge of his brother, the rightful heir of the throne.It doesn’t end well for Kassapa; his kingdom only lasted about 18 years. 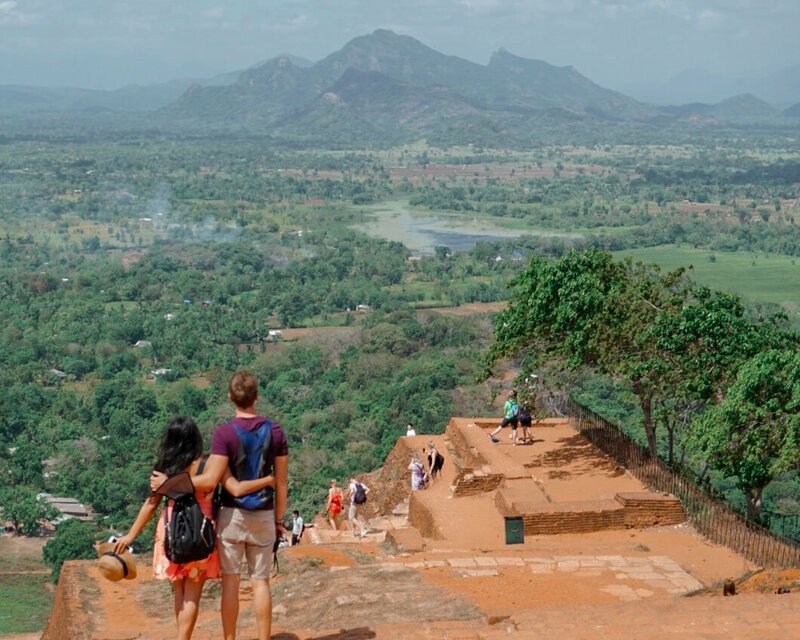 For the entrance fee, the Sigiriya Rock charges roughly 30 USD per foreign visitor. 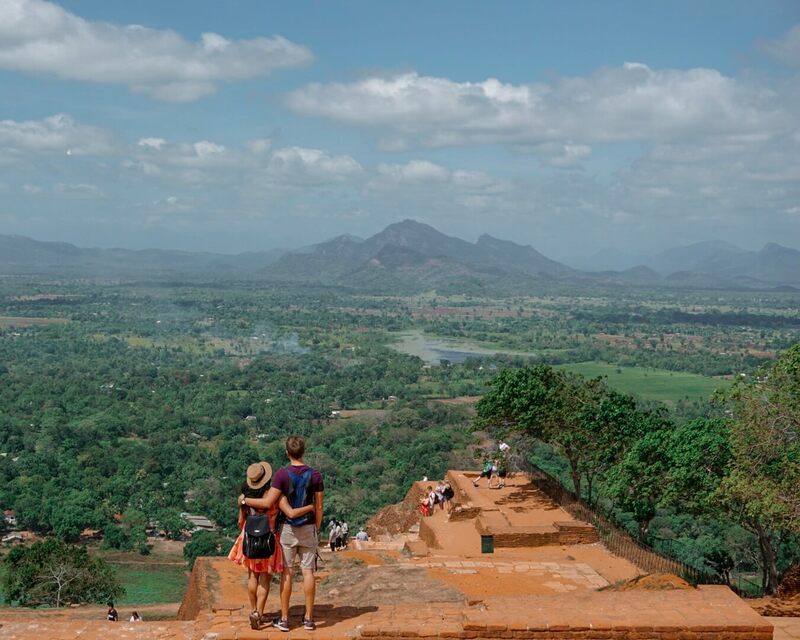 The Sigiriya Rock is open 7am-7pm. Its ticket counter though, is closed by 5pm. No strict dress code here, so I wore a sundress, but it turned out to be inconvenient.As we hiked on a windy day, I had to keep holding my dress down. I improvised by making knots on both sides to keep it down, and it worked. The same thing happened to my companion, Veronika. As you also have to climb flights of stairs, It is best to wear something you’ll be comfortable with. To reach the top from the lion’s paws, ine has to go through narrow spiral staircases that are one-way going up and likewise going down. If you get tired, you may rest a bit but not too long, as the people behind you would not be able to advance as well.It’s not too bad a hike; you just have to be mindful. As for the carvings, we were not so impressed, though we understood that these were there as a reminder of their history.As such, it was fine by us that taking photos of the carvings was prohibited. The Dambulla Museum used to be a simple museum that showcased paintings. 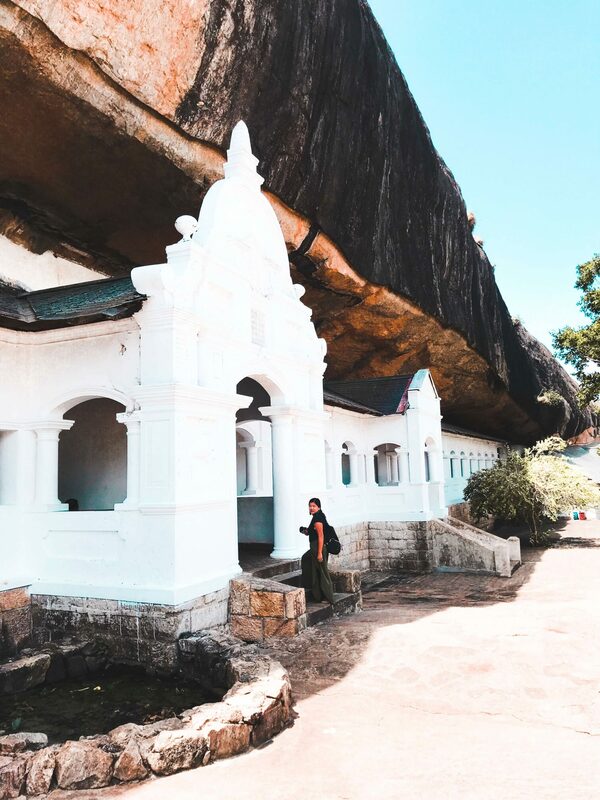 Today, it is a research and conservation center for art murals commonly found in the ancient caves of Sri Lanka. They also exhibit replicas of art that one views in the different heritage sites around the country. Entrance fee to the Dambulla Museum is RS 300. 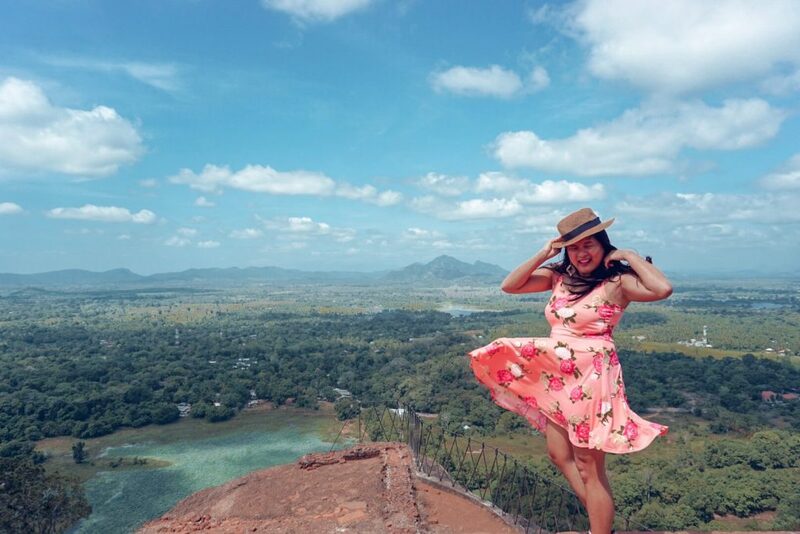 It can easily be reached since it is found just along the main highway of Dambulla, near the Dambulla Cave Temple. 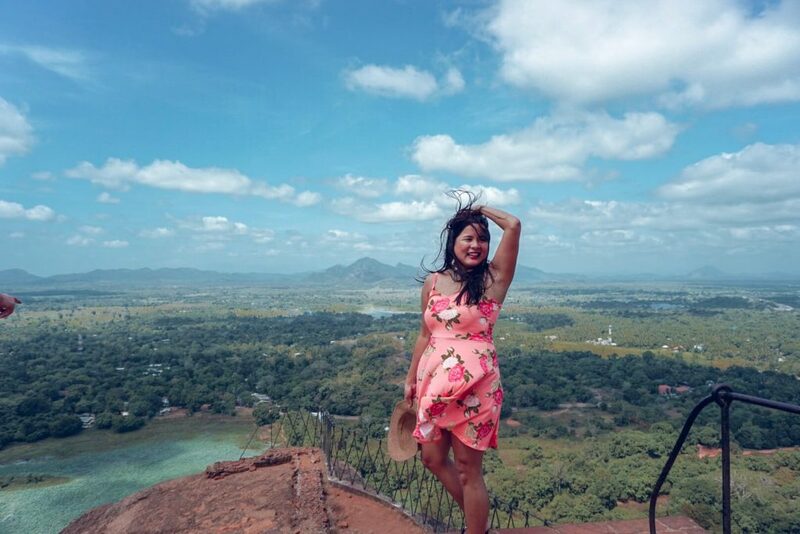 The Jathika Namal Uyana is one of the least visited attractions near Dambulla. It is best known for the Ironwood forest and a huge rose quartz mountain. Other things to see here are lizards, butterflies, and birds. 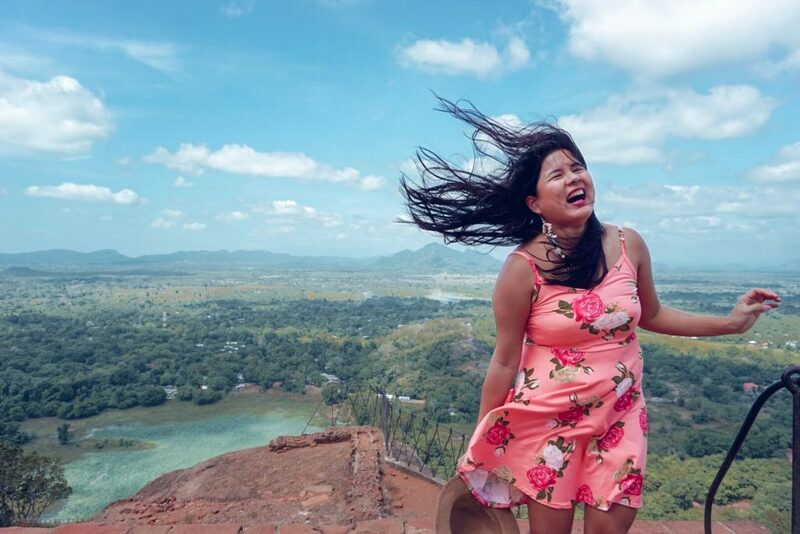 People love hiking in the Jathika Namal Uyana because it is an easy, breezy hike under the shade of ironwood trees, plus the trail is well marked. To reach this from Dambulla, ride a bus bound for Anuradhapura, Vavuniya or Jaffna, and alight at Madatugama Junction. From there, you can ride an auto rickshaw. Entrance fee here is Rs 500 for foreign visitors. 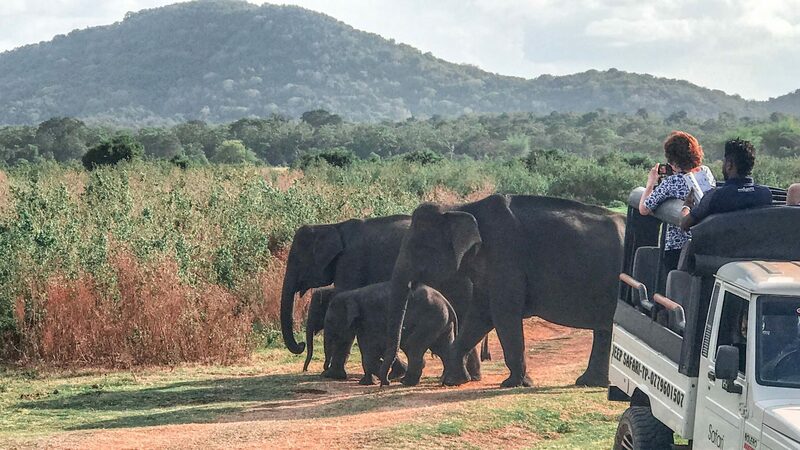 A jeep safari ride in the Minnerya National Park takes you to the natural habitat of a herd of elephants. 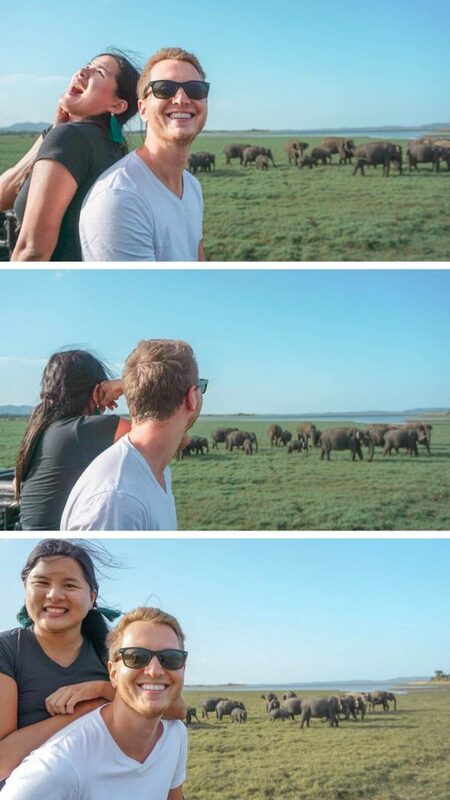 It is a great experience because you know that you don’t pay for their cages. 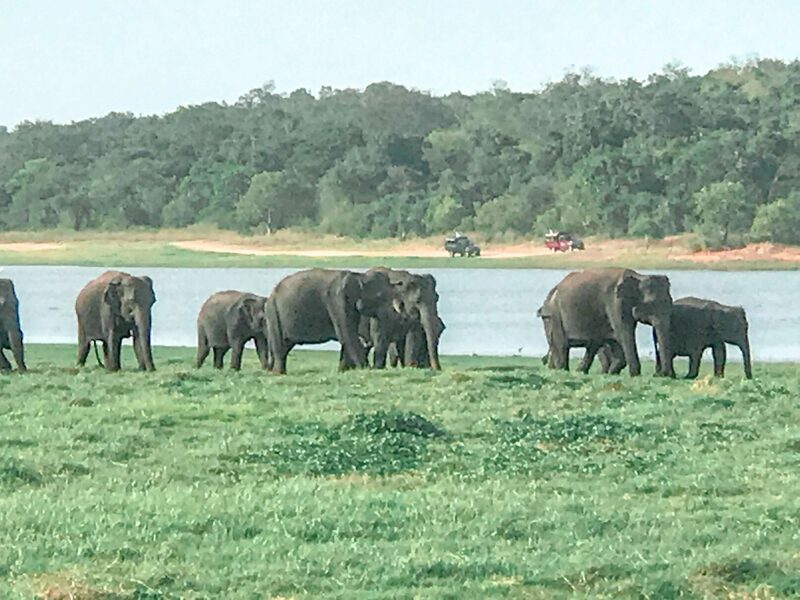 It was heart-melting as you get to see the gentle giants (though naturally wild) moving comfortably, playing on the lake, attending to their babies, and such. 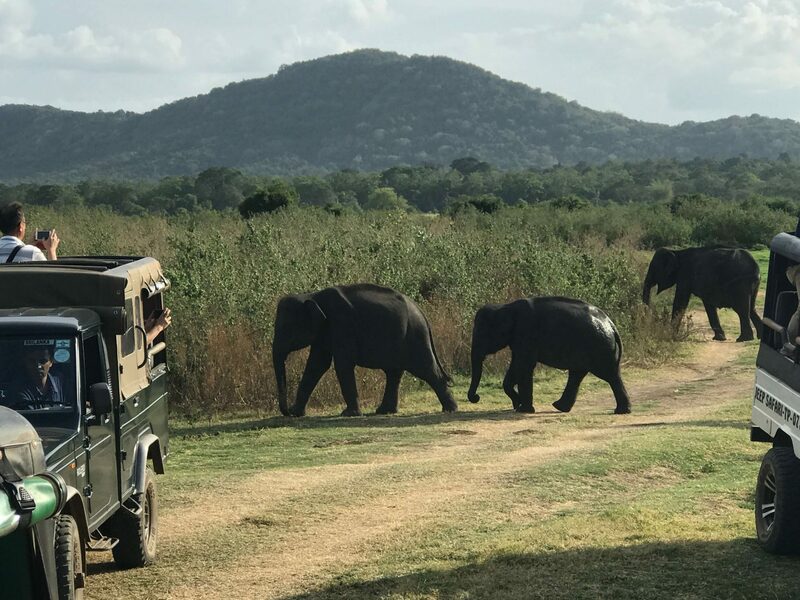 Aside from this herd, there are other four-legged animals inside the Minnerya National Park like wild boar, lizard, and deer. There are peacocks and other birds too. 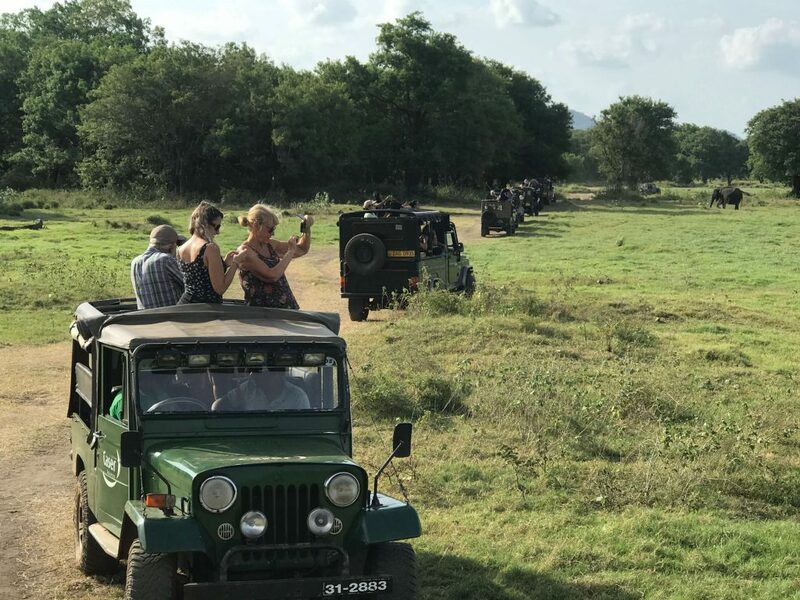 For the safari ride in the Minnerya National Park, prepare at least Rs 12,000 total expense for two persons (around Rs 7,500 for entrance ticket for two, Rs 3,000 for the jeep rental, and Rs 1,000 for a tour guide). 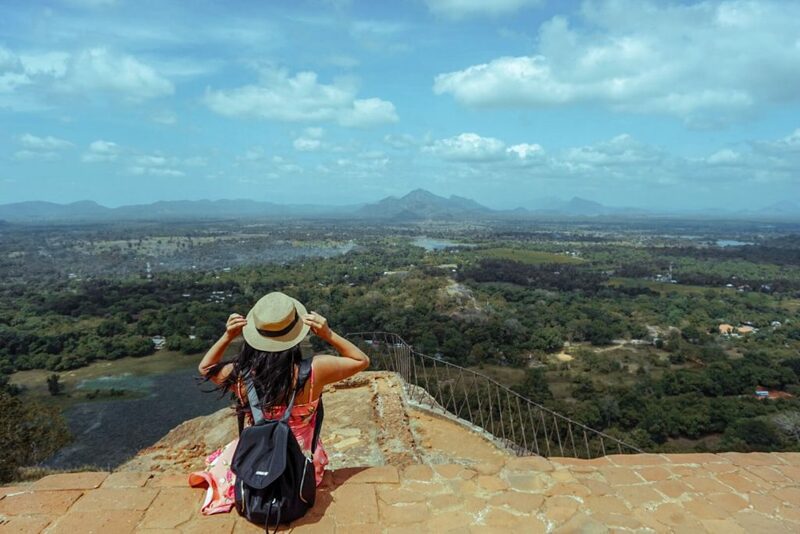 Another top thing to do around Dambulla is to peek into the ancient history of Sri Lanka through Polonnaruwa. 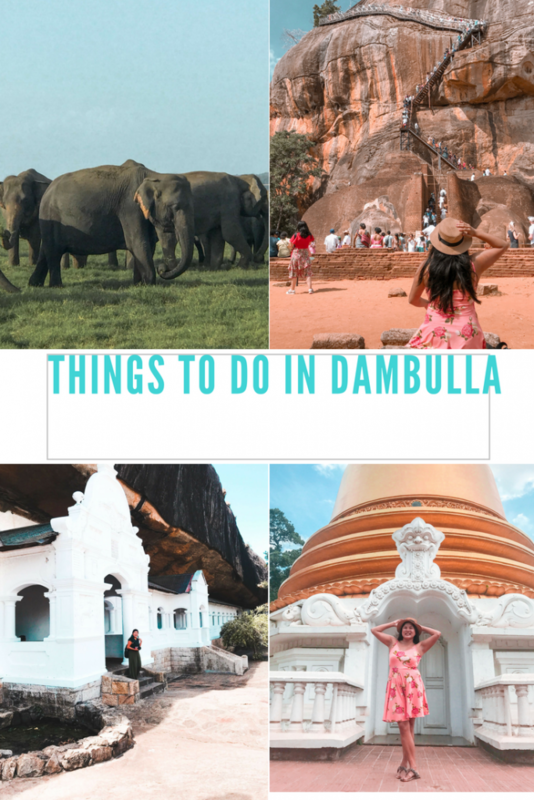 It is only about two hours away from Dambulla, was an ancient capital city, and has been designated as a UNESCO World Heritage site since 1982. 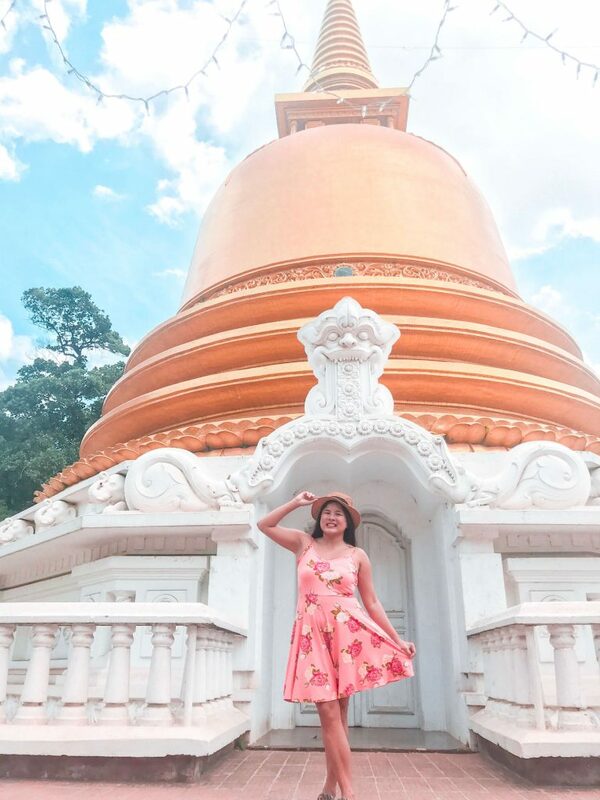 Here, you can find foundations of an ancient Royal Palace, carvings of lions and elephants in its ancient Audience Hall, and a sacred quadrangle with four Buddha statues that remain “protected” by walls and stones. The dagabas (or house of religious relics), the Hindu Temple, and the Shiva Devale No. 2, are all impressively intact. To get from Dambulla straight to Polonnaruwa, you can go by auto rickshaw, for which you may be charged around Rs 3,500. Alternatively, you can go to the Dambulla main bus station and ride a bus bound for Kaduruwela. Travel time can take about 2 hours. From Kaduruwela, you can get an auto rickshaw to drive you around the ancient city, costing you at least Rs 2,000. It can also be explored by bike or private charter. Entrance fee is around 25 USD for adults and half the price for kids. 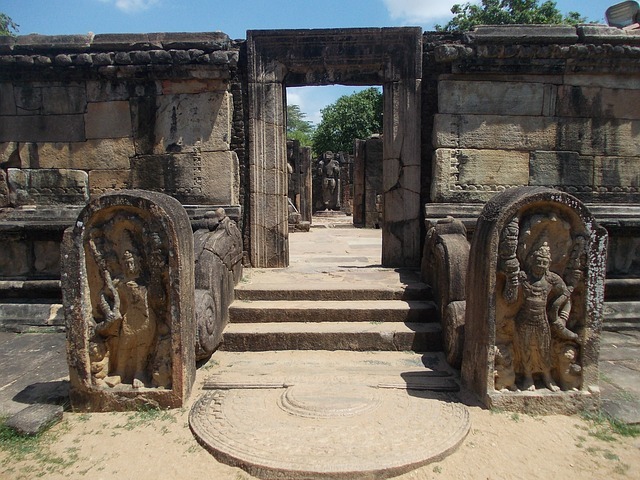 Before the establishment of the ancient city Polonnaruwa, there was the Anuradhapura. It was the capital city of Sri Lanka in earlier days. 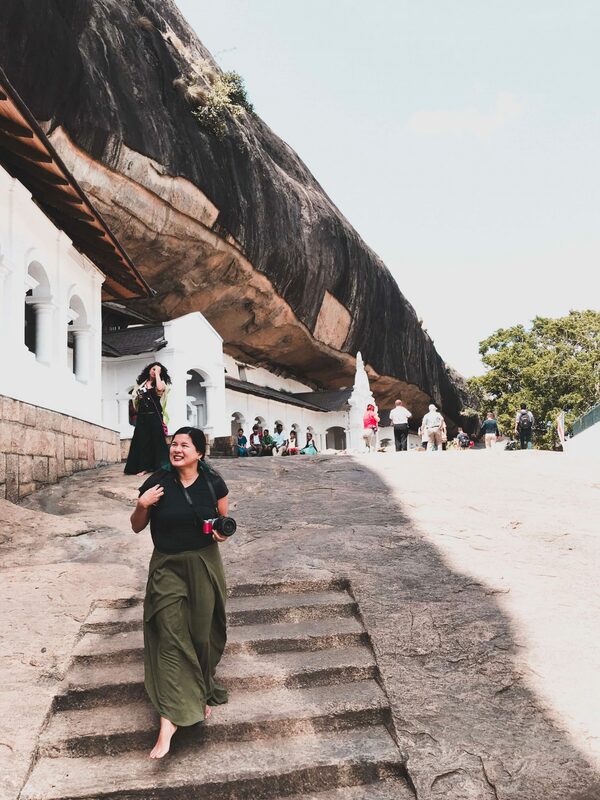 The city of Anuradhapura was built surrounding a sacred tree, the original fig tree under which Siddhartha Gautama gained his spiritual enlightenment. The sacred city prospered for over a thousand years, but fell into the hands of the Chola army from Southern India. The survivors of this war thence fled to Polonnaruwa. 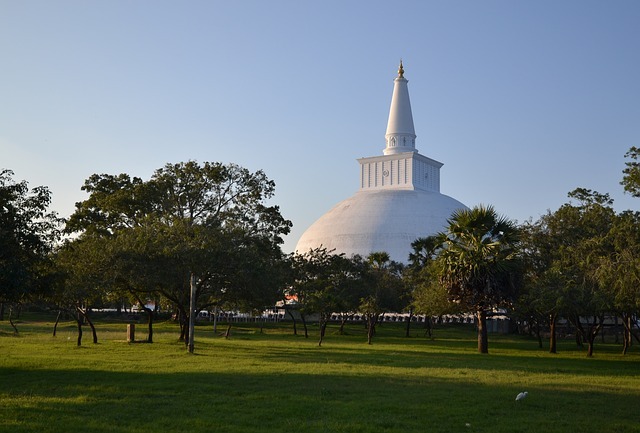 The Anuradhapura had been listed as a UNESCO World Heritage site since 1982. An auto rickshaw ride going to and around the Anuradhapura can cost around Rs 3,500. For a cheaper option, from Dambulla going to Anuradhapura, a bus ride can take approximately two hours, and costs only around Rs 95. After the bus ride, an auto rickshaw tour ride will cost you around Rs2,000 only. Entry fee to the site is around Rs 3,500. If you are coming from Colombo heading to Dambulla, the taxi fare rate can cost at least Rs 12,500. Travel time from Colombo to Dambulla usually takes approximately 4 hours. Taking a bus going to Dambulla from Colombo requires two bus rides. The first bus will be from the Katunayake bus terminal, which can take you to the Kurunegala. This two-hour ride costs around Rs 100. In Kurunegala, you can ride the second bus bound for Dambulla for another 2 hours, the cost of which is around Rs 150. 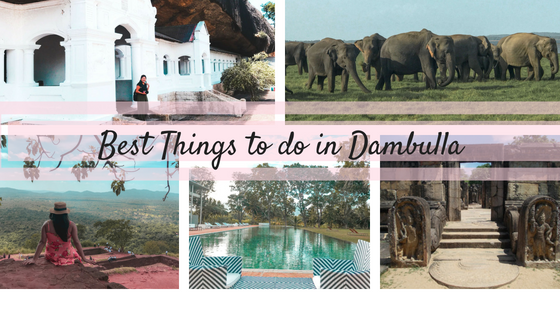 If you have more time, you can ride a train from Colombo and disembark at the station nearest Dambulla, which is Habarana. This train ride is going to be scenic, though the slowest mode of transportation. Train fare can cost around Rs 480 to 600 depending on the class seat. From Habarana, you can ride an auto rickshaw going to Dambulla for Rs 300, more or less. Others take the train from Colombo to Kandy and then do Dambulla as a day trip. It’s around 2 hours from Kandy. We immediately fell in love with the room. Aside from being spacious, the huge windows and the glass door leading to the balcony add up to make the room seem even bigger. They designed the room with an earthy palette, and it matched the “untouched” rural lakeside scenery that could be viewed through its glass doors. The balcony was pleasantly furnished with lounge chairs and a daybed. The bathroom was huge too. 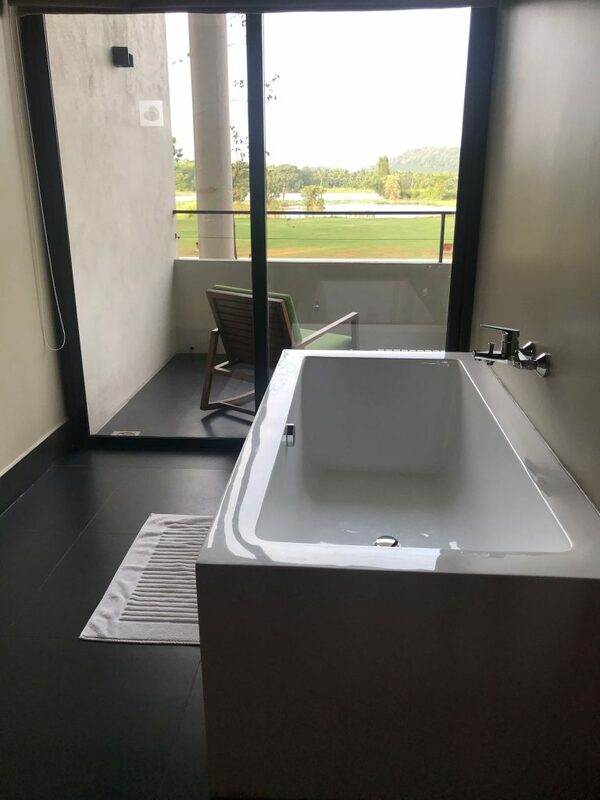 In addition to the enclosed shower, it also had a bathtub—-just what I needed for a relaxing bath that evening. 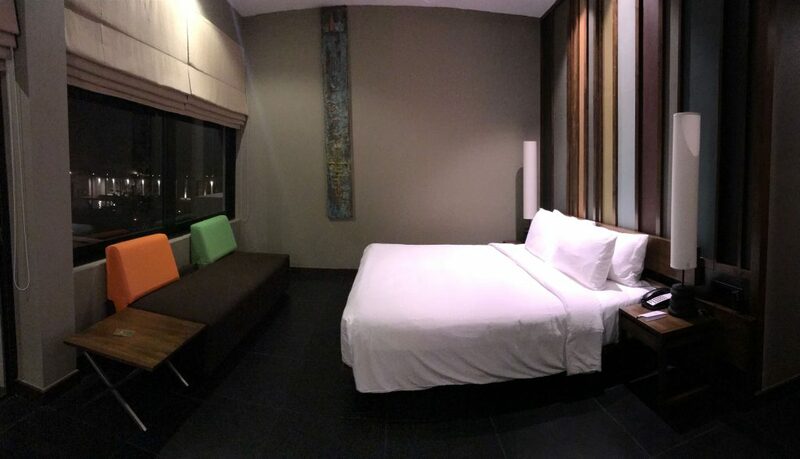 The best suite at this hotel was not only bigger in size than this room we stayed at, but also better furnished in that it had a couch and dining table in its balcony, as well as an outdoor bathtub. The hotel’s open area has a really long heated lap pool that reminded me of my stay in Ramada Cochin. My friend Veronika decided to go for a swim.It closes at 8 pm. By 8pm, we all headed down for dinner. They had a huge buffet and a room full of desserts. There was a live band too. The Viewing Gallery is the main in-house restaurant of the Jetwing Lake Hotel. 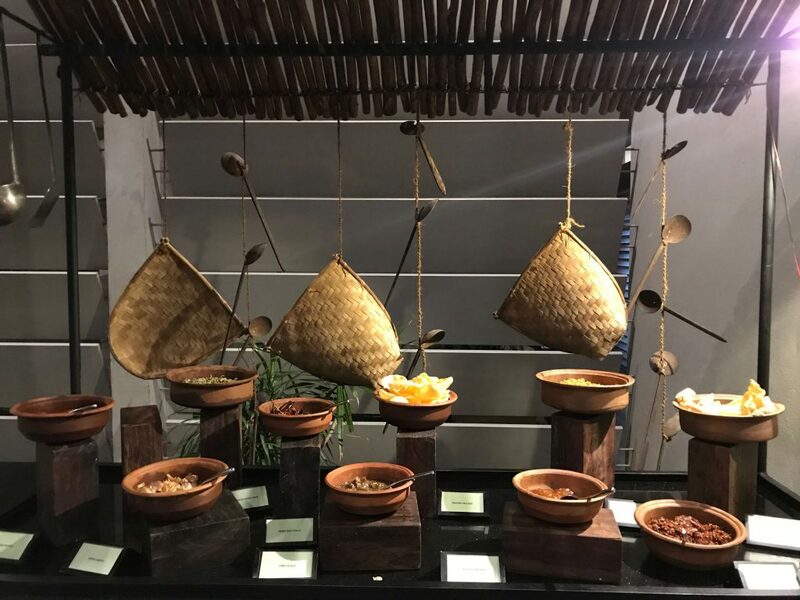 It is open all day and offers Sri Lankan specials and international cuisine.Aside from that, they also have Lu Lin, a Chinese restaurant open for lunch and dinner. For cocktails and such, they have one bar at their rooftop, and another at the ground floor near the pool and lake. You can ask the Jetwing Lake Hotel to set up a table for your meal in your room or in any common area. They can also set up a table near the lake, pool or such. The next morning, we had Sri Lankan breakfast by the pool. It was really nice and simple. 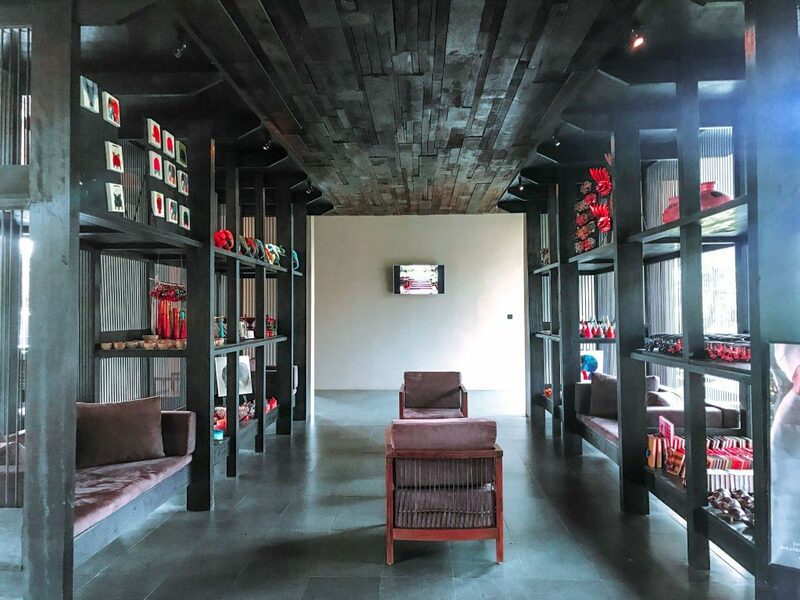 Other things you can get busy with while inside the Jetwing Lake Hotel is to relax in their spa and wellness center, work up a sweat in their fitness gym, or bike around the lake. This lake, by the way, is actually a water reservoir for irrigation purposes. 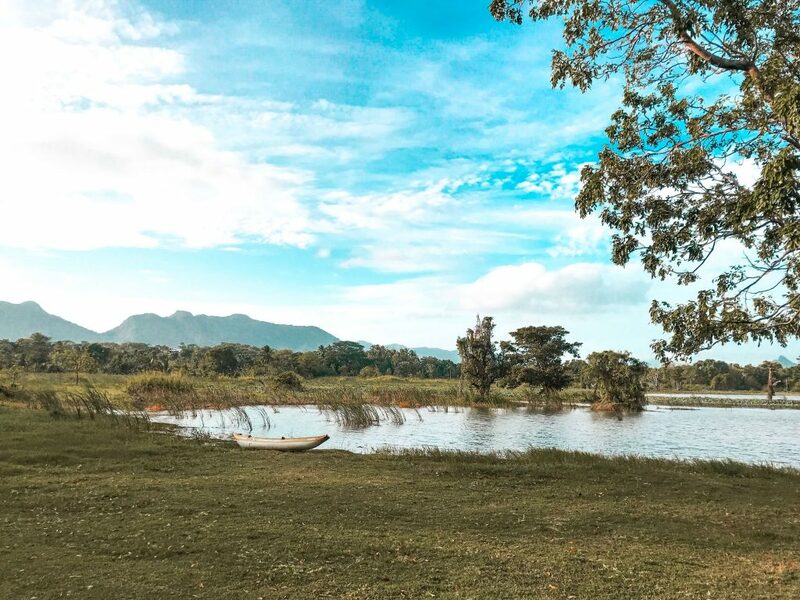 Many guests find it unusual to have a modern and stylish hotel sitting in an untouched countryside area. Jetwing Lake Hotel is a sustainable hotel. 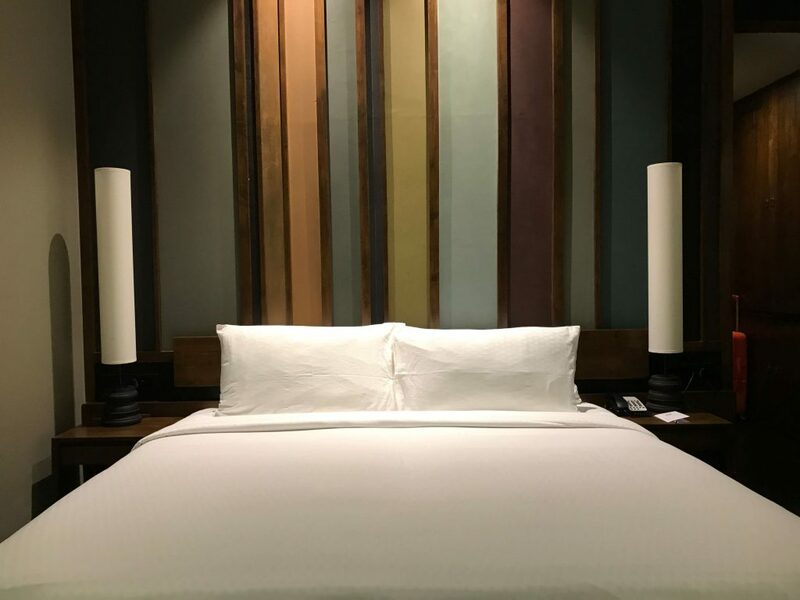 Among other things, they use a biomass boiler for their hot water and laundry, and bi-facial solar panels for more than 40% of the electricity that the hotel consumes. 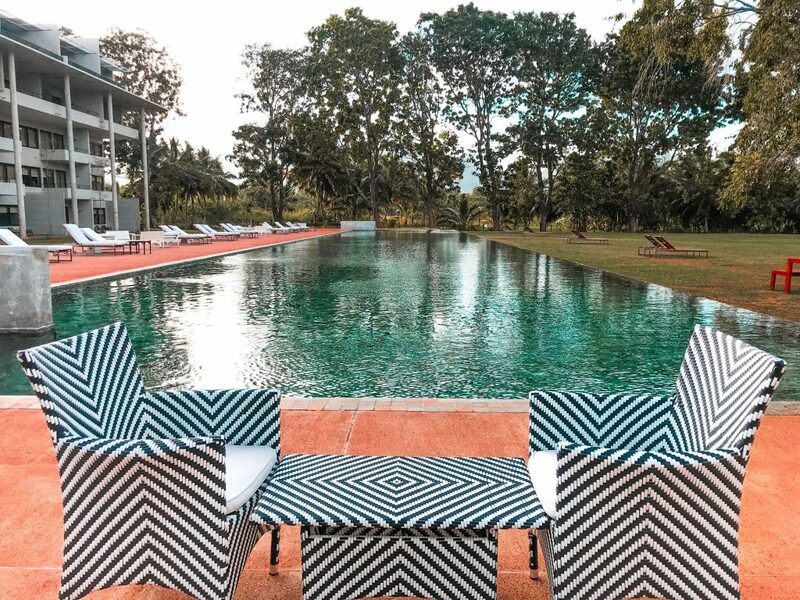 With its luxurious facilities, the Jetwing Lake Hotel is a perfect base if you’re planning to do exhausting day trips to other parts of Sri Lanka. It has such a good location. 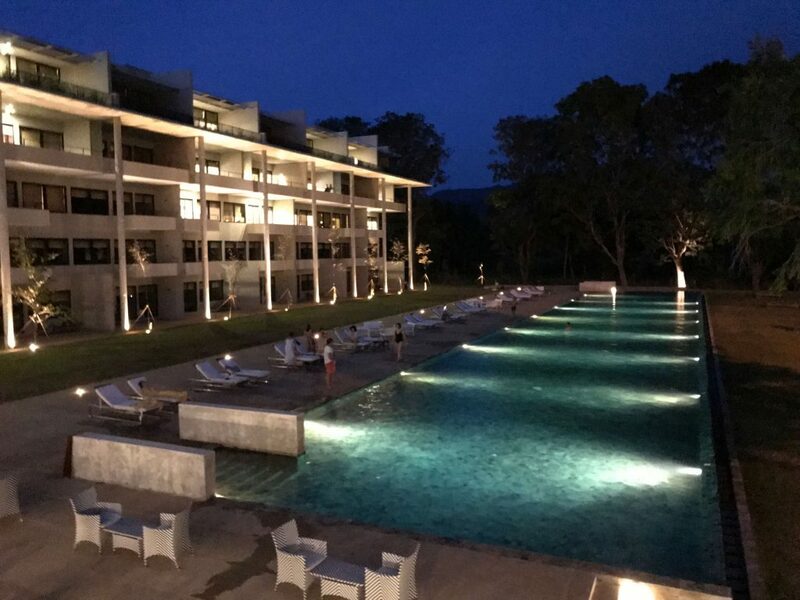 The hotel is only two hours, more or less, from the sites of Anuradhapura, Polonnaruwa, and Kandy. Our time here was too short. We wished that we could have stayed for another night.